What exactly is the knock against Armani? What exactly do the Armani critics have a problem with? Is it that he does aggressive treatments on those in their 20’s…that it’s not leaving them with enough donor hair down the line? Or is it that some think his results are not as great as they look in photos he provides. Is it that his slick website too much of an infomercial…reminds me of Bosley or MHR a little. Or is it something else all together…like his crazy high prices? In my case, I’m a 40 year old NW 2.5 (but a very high forehead to begin with) with excellent donor density and thick wavy hair. If Armani’s pics are really what his results are, I think they blow away every other doctor I’ve seen,even H&W (I don’t want the mature hairline…I don’t think it really looks natural IMO). So tell me why exactly, in my particular case, I wouldn’t want to use Armani. I’m looking for real advice here. Thanks. » all together…like his crazy high prices? Please also take note that alot if not most of the photos I post on the forum as well of alot of the photos you see on our webstie are photos that are taken by the patient themselves in their own setting. This is a fact that is often overlooked. The photos below for example, all taken by the patient with their own camera in their everyday setting. Not in a photo lab. » leaving them with enough donor hair down the line? The problem’s that Armani reps groom the data to represent only the absolute best client cases – resulting in a scenario that portrays Armani as the best HT doc to grace this planet. Just look at Pats reply to this thread. He’s been posting the same HT photos for as long as I can remember. Now look for poor results. You won’t find any because they’ve been deleted. » really looks natural IMO). » Armani. I’m looking for real advice here. Thanks. » » leaving them with enough donor hair down the line? Hello, I am talking, from experience. You see what is happening is exactly what another person explained. These 20 year olds are getting 2500 and more grafts just on the frontal hairline. Yes they will look great for a few years, but what happens when they lose more hair. If they are so vain to get that many grafts on the hairline. 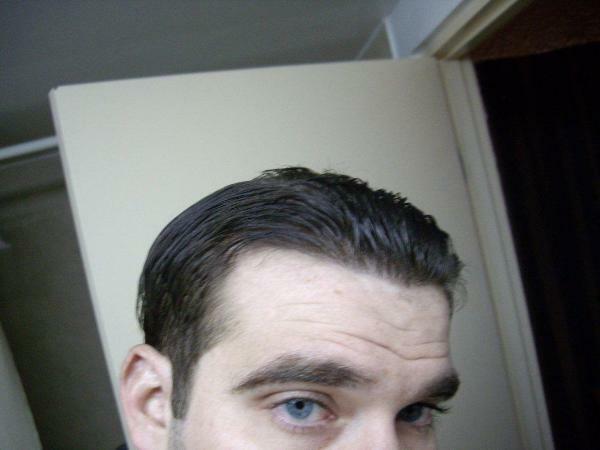 What do you think is going to happen to them when they get big shiny spots behind the hairline? They will do whatever it takes to fix it. Now all of a sudden there is limited donor hair and it becomes problem after problem. There is no way to know how much hair will be lost in later life. This is why a doctor should be extremely careful in advising the vulnerable youth. A doctor shows the young guy what he could look like. The young guy looks at some models picture and the patient is puddy in the doctors hands, willing to spend whatever. What ends up happening is the young guy looks great for a time limit and the doctor looks like a superstar. Tell me who wouldn’t look good after planting 2500 to 4000 grafts in limited bald area. What, I don’t know what I’m talking about? Think again, it happened to me when I was 20. “Tell me who wouldn’t look good after planting 2500 to 4000 grafts in limited bald area.” That is just it. Sure he does nice work but do you think if some other of the top docs took the same amount of grafts and planted them in the same area they could not do just as good a job? Of course they can! » as the best HT doc to grace this planet. » find any because they’ve been deleted. That is exactly why I posted photos that were taken by the patients themselves. So you can see the real result. The fact is, we have the third most credited results posted on this forum. More results posted then any other clinic in the world but two. So to say a large sample size of Alvi Armani results have not been posted is incorrect. People have more Alvi Armani results to look thru then just about any other clinic here. … and what happens to the patients that post poor photos? » themselves. So you can see the real result. » forum. More results posted then any other clinic in the world but two. » thru then just about any other clinic here. » » as the best HT doc to grace this planet. » » find any because they’ve been deleted. » … and what happens to the patients that post poor photos? Patients are free to document their experience and post their thoughts on their results. We encourage this. Stingray posted his photos of his Armani result. Even though we all agreed he had a very nice improvement he decided to go to a different doctor for his 2nd procedure and we wished him all the best. We are not perfect, nor do we claim to be. But we do have a very high satisfaction rate with our patients. As stated in my previous post, as far as results are concerned there are very few clinics with as many documented results as Alvi Armani. Is it true that negative Armani posts have been deleted from Hairsite’s forum? Also, what exactly is your job with Armani? Are you paid just to monitor message boards or does your job entail more? If so, what? » message boards or does your job entail more? If so, what? I am a patient coordinator with Alvi Armnai, forums is just part of my job. No results are not deleted. This is not our forum and we have no control over what is posted. Exactly Duck! It disturbs me to no end to see doctors boasting about their spectacular work, and charging all kinds of money. they fix other doctors mistakes and give people back their self esteem. They use innovative intelligence for their clients. » over what is posted. Whatever ounce of respect I had for you was lost with that comment. » » over what is posted. » Whatever ounce of respect I had for you was lost with that comment. you are not talking about me, right REV? No, not you hossman. I was talking to Pats. People have been banned off this site asking too many questions about this Doc. 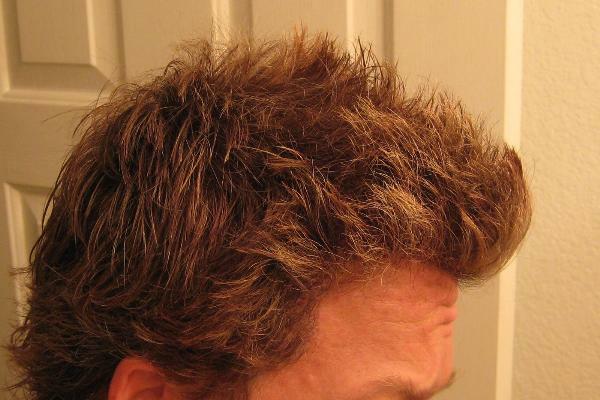 One Hairloss site was sued, and posts have, in fact, been deleted. Look, I accept that an HT doc will have an occasional case that doesn’t turn out correctly. That’s just the nature of this business; however, when poor results get buried intentionally - well that’s downright unethical. » » » over what is posted. » » Whatever ounce of respect I had for you was lost with that comment. » you are not talking about me, right REV? » sued, and posts have, in fact, been deleted. » poor results get buried intentionally - well that’s downright unethical. » » » » job. » » » » over what is posted. » » » Whatever ounce of respect I had for you was lost with that comment. » » you are not talking about me, right REV? Pat - Here I go again,risking getting banned again,haha! 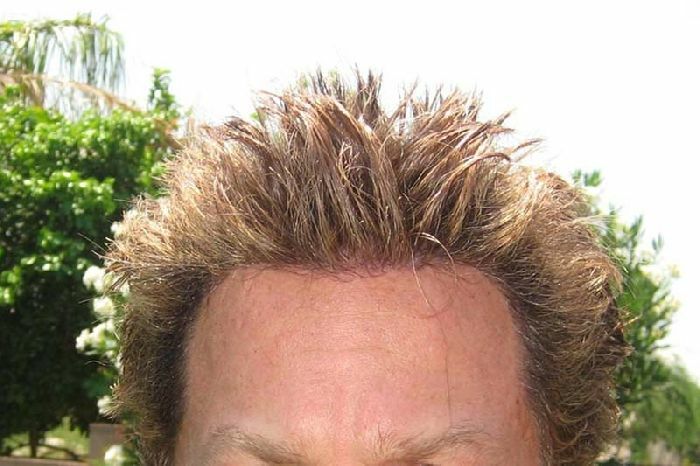 Why are you banned from other hairloss sites,you know which one I’m refering to. I’m not knocking you,I only see good results off Armani.Yes what really happens to the bad result photos? I’ve had posting deleted before,hopefully this won’t happen this time. Hello guys. Before i settled for hair restoration i did extensive research regarding all the different doctors. It was really difficult to come to a decision because many of them are reputable and give great results. However, after having a personal consultation with Dr. Armani I settled for their clinic. Not only because of the wonderful work that he provides, but because he was upfront and very warm in regards to my hair restoration. Dr. Armani did not only discuss restoring my hairline area, which he is known for, but he provided a long term plan for my restoration. Higher density in the front, and lower density the back, which is why i went in for my second procedure with Dr. Armani. He covered zones 2, 3, and a bit of 4. I’m more than content with my result and future plan. I’m having another surgery next year to cover zone 4 and add more density in zone 3. In addition to this, I had a 1700 graft strip surgery before my two procedures with Dr. Armani and the results can’t compare. Everyone is entitled to their own opinion, but i’m just letting everyone know that I had an extremely positive experience with Dr. Armani and i’m looking forward to future work with him. To answer the question of the young guys getting aggressive HT is their choice!! though Im sure Armani advises them that they will need more in the future… If the client has less than average donor areas im sure Armani wouldnt let anybody run around like an idiot in 10 years from now… I dont think Armani needs the money that bad to destroy another persons appearance… I have noticed other doctors doing better hairline procedures… and are also getting “aggressive” why no attacks on them? I would love to see more videos from all doctors now… hey… most of us have video cameras on our cell phones… so lets amp it up!!! 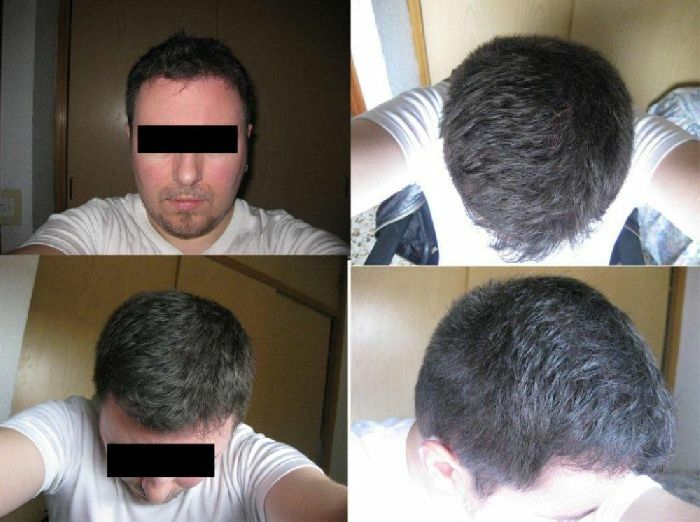 For a while the Armani clinic was claiming to be able to get 12,000-15,000 FUE grafts from an “average” guy’s donor area. » » If so, why? » » message boards or does your job entail more? If so, what? Nearly every bad Armani results goes under investigation by hairsite for any kind of bullsh… reason and u never hear back about it. The post gets deleted. Happened over and over again.